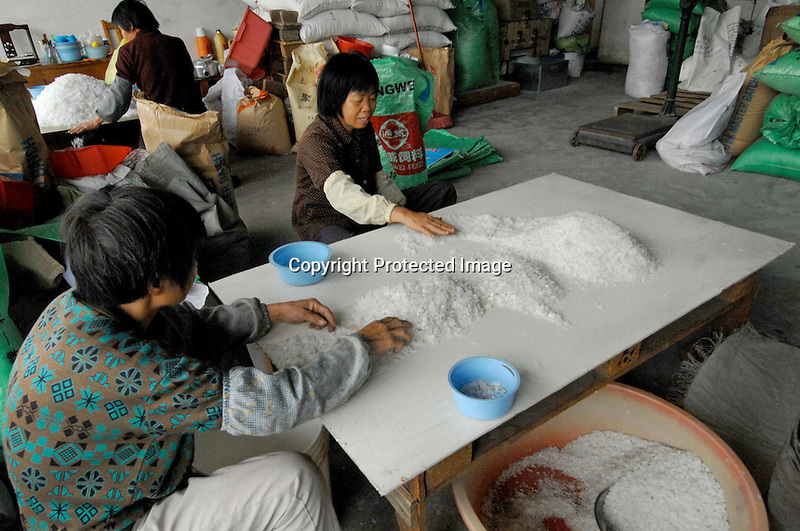 Mai Village in the shunde diatrict is a major producer of plastic pellets from waste plastic rubbish, including carrier bags and other plastic waste much originating from Europe. Carrier bags from the British supermarket chain Tesco, and also Argos and Help the aged contribute to horrendous pollution in the Shunde district of Guangdong, China. Italian, Dutch and British waste was found to being re-cycled in the area.